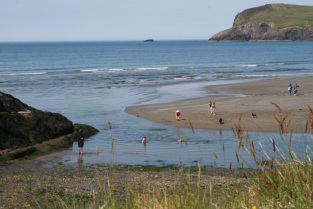 Cnapan is only a five minute walk from the Coastal path, from which you can tackle the 186 miles of Coast Path stretching from Amroth in the South to St Dogmaels in the North. Combine that with the only coastal National Park in the UK, some of the most spectacular and varied coastline in the world, the Preseli mountains and over 621 miles of footpaths and bridleways then you truly have a walkers paradise. Connecting these routes are costal shuttle buses which operate throughout the year, so no need to take the car. There are rides to suit all ages, from beginners to experienced cyclists, whether it be mountain biking up the Preseli Hills or touring the quiet secluded lanes. Family cycling in Pembrokeshire is particularly good and children and parents alike will appreciate the relaxed experience. For further information and maps please visit Cycle Pembrokeshire. Bike hire is available in town from Carningli Bike Hire. 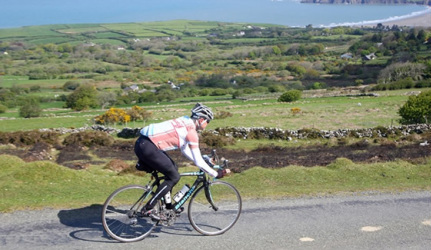 For the more competitive cyclist, there are two very popular annual cycling events that take place, the Tour of Pembrokeshire which starts and finishes in St Davids and the Preseli Angel based around Newport. 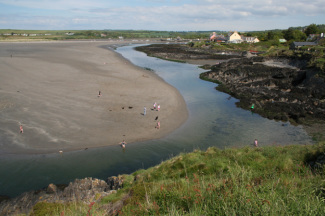 Pembrokeshire National park offers many opportunities to experience local wildlife. This includes visits to Ramsey and Skomer islands to view puffins, seals and shearwaters. Off-shore whale and dolphin watching in Cardigan bay , or visiting Strumble Head lookout, which is the finest sea watching site in Wales. For birding enthusiast why not visit, The Welsh Wildlife Centre at Cilgerran, where you can find extensive reed-bed habitat abutting the Teifi estuary. 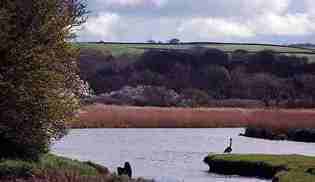 Or alternatively Newport has its own estuarine environment, which is home to several species of waders. Newport has its own 18 hole links golf course, complete with newly renovated clubhouse, set in idyllic surroundings, overlooking Newport Bay. 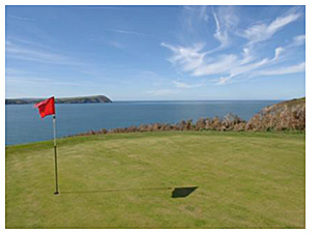 For surfing enthusiast we have several locations in South Pembrokeshire which offer excellent conditions throughout the year, namely Newgale and Freshwater. Board Games Surfing, offer surfing and paddle boarding experiences and also lessons if required! Why not try coaststeering in St Davids. Or white water rafting in the Teifi. Organised kayaking trips from Lower Fishguard. A public tenis court is located within a stroll from Cnapan and can be booked at £5 per hour. Horse-riding. There are several riding centres that offer lessons or trekking on the Preseli mountains, see for further details. Within the town there are numerous art shops to suit all tastes. Further afield we have Workshop Wales and West Wales Art Centre . Rhosygilwen is a truly amazing concert venue in Cilgerran, hosting some world class artists. Our local artist, Sarah Hope, (shortlisted for artist of the year 2011) will take portrait commissions for a truly memorable present to take home. 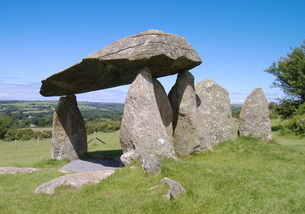 Only three miles from Newport we have the Pentre Ifan burial chamber a fantastic example of megalithic structure. Also on our doorstep we have Castell Henlys Iron Age hill fort. Ffald-y-brenin christian retreat centre is only 6 miles away in the beautiful Gwaun valley. For further information on upcoming events in the area, please see the town's official website or the equally as good unofficial website.